Why not use what cutting edge research supports? We have a 92% positive patient outcome result with decreased symptoms and decreased swelling. We have a scientifically published protocol, and we work extensively with Mission Cardiac and Vein group to make sure we are providing only the most beneficial cutting edge treatment to patients. If you have tried and failed lymphatic treatment, then you need to give us a call. Are you tired of looking exhaustively for an experienced and extensively trained PT that can handle lymphatic therapy? Well, you have finally found what you are looking for! We are experienced in lymphatic patients, dedicating ourselves to each patients specific case. We have research proven exercises, and manual therapy protocols to help your outcome achieve the highest success. Whether you want manual lymph drainage techniques or lymphatic compression therapy, we can help you design an appropriate program that is tailored specifically to you. 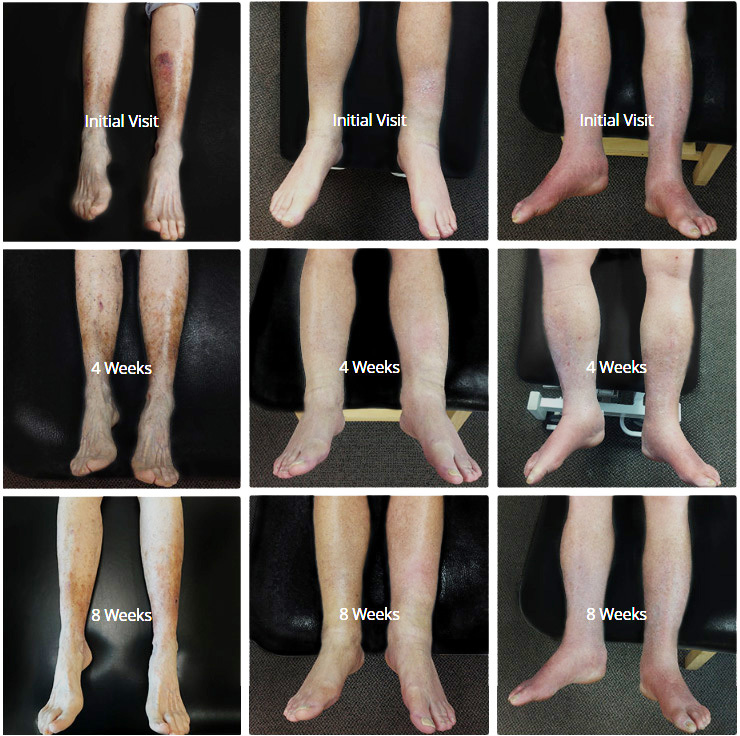 Pneumatic compression systems help the patient recover by promoting lymphatic circulation. The compression system consists of air chambers and a pump providing sequential and peristaltic action to the legs, arms, or waist. Treatment is beneficial for: radiation/chemo, trauma, mastectomy, CHF, kidney dysfunction, arthritis, diabetes, cardiovascular complications and many other co-morbidities. Call us today at 949.716.5050 to discuss your treatment plan and schedule an appointment! We are setting the bar with our current research with Mission Hospital and affiliated physicians. Come see why we are selected as the lymphedema clinic of Orange County. Do your rehab right, do it with us!